April 18, 2018 0 comments on "Fairy Garden Accessories"
I love fairy gardens and miniature gardens, and every spring I look forward to getting them out and decorating my flower beds with them. There are so many great fairy garden accessories to choose from! I try to get a few new items each year to add to my collection. 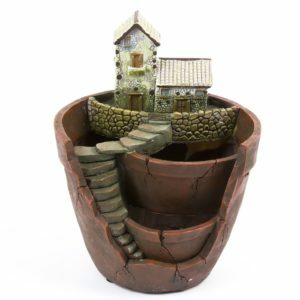 I’ve put together a list of my favorite fairy garden accessories to inspire your own fairy garden or miniature garden. Follow my fairy garden board on Pinterest.